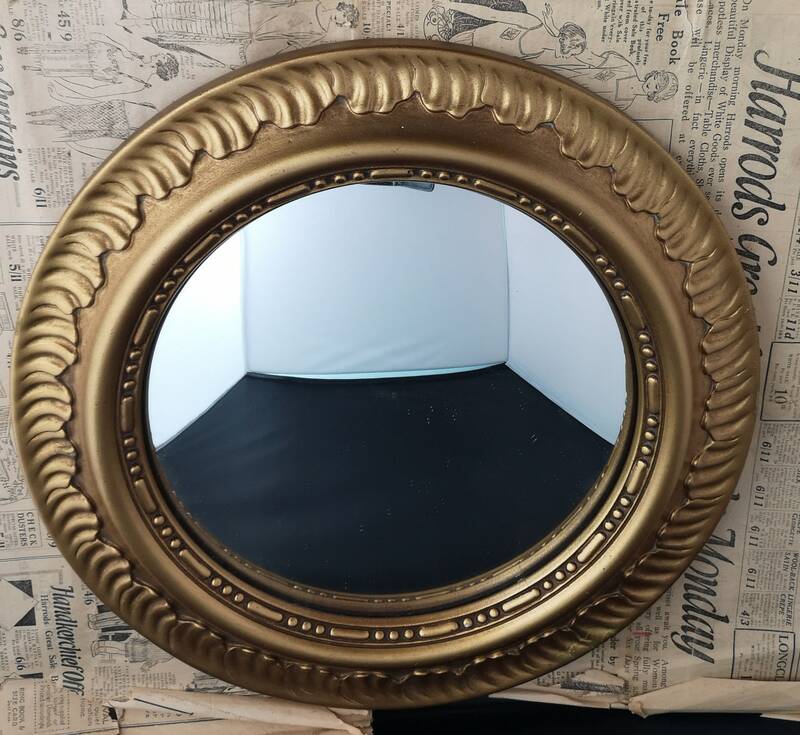 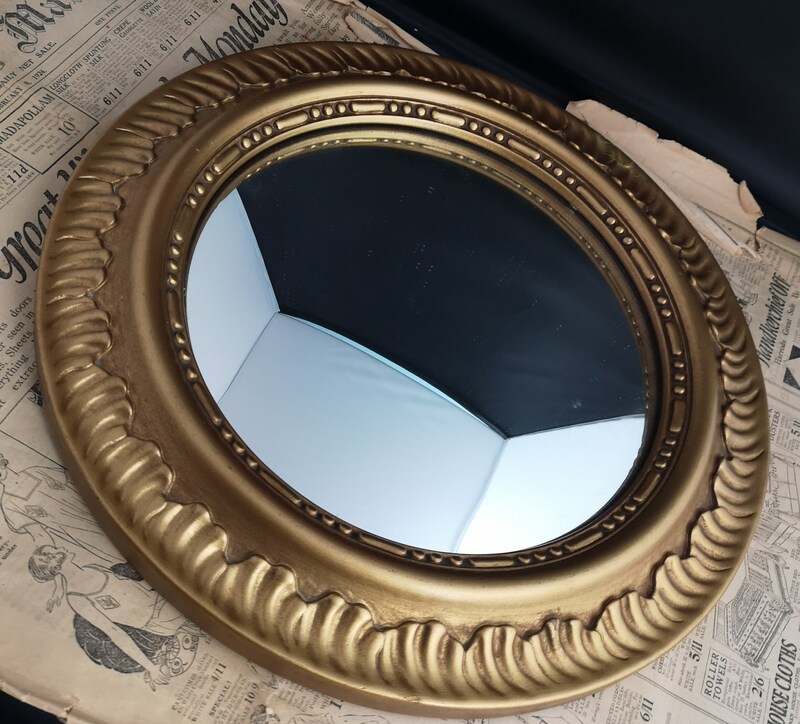 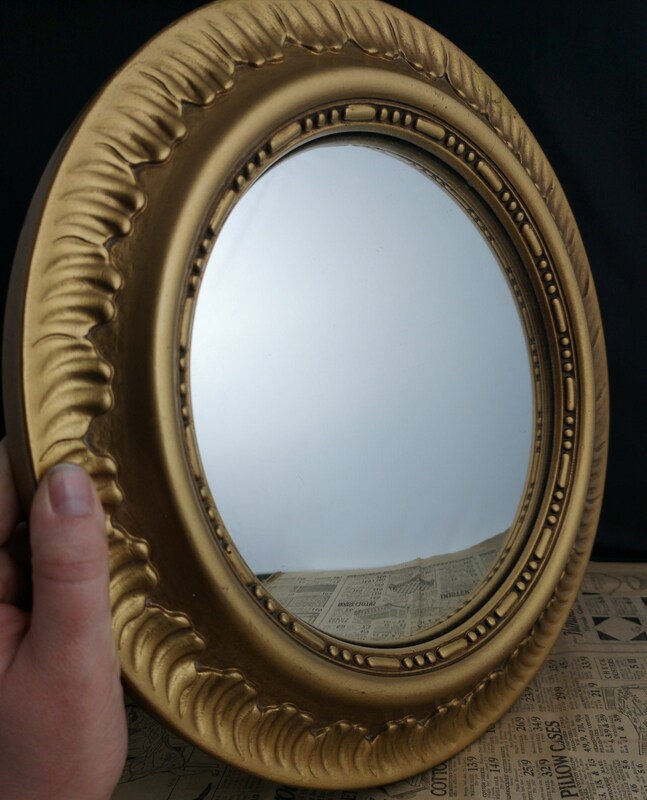 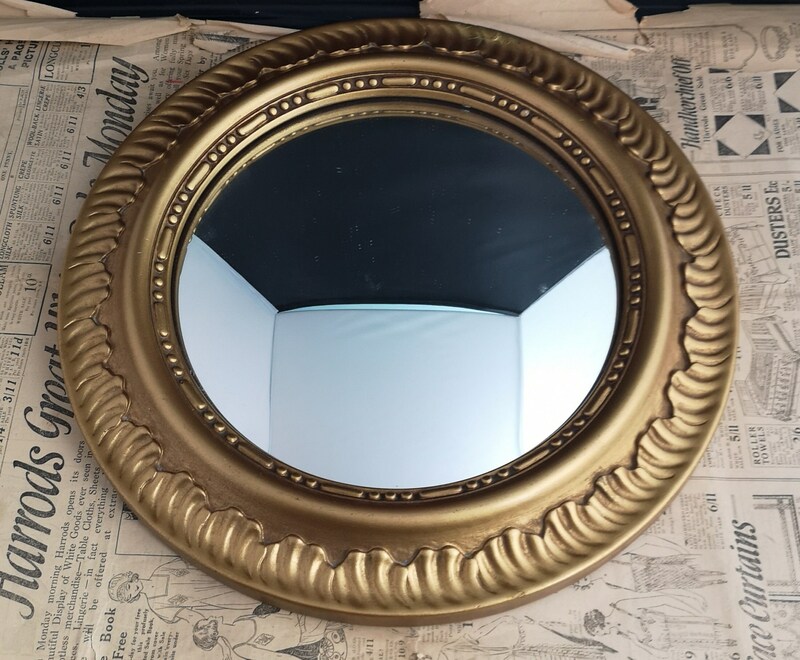 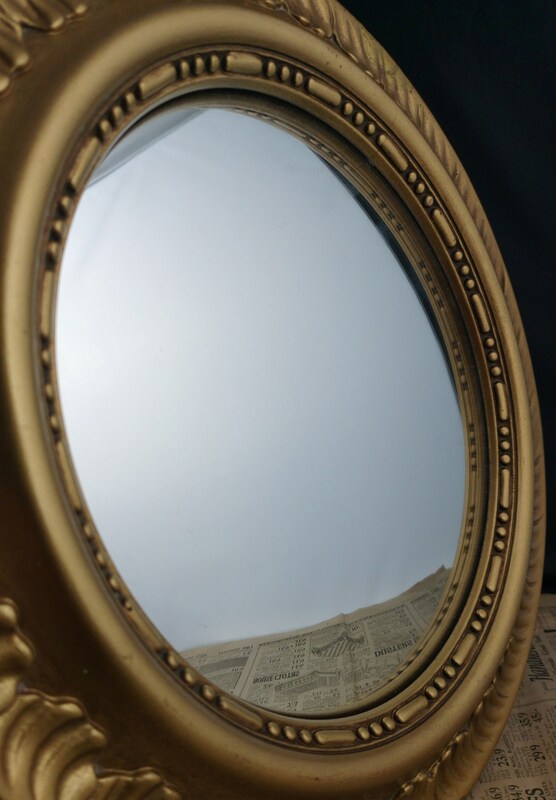 A fantastic vintage 1930's gilt framed sunburst convex wall mirror. 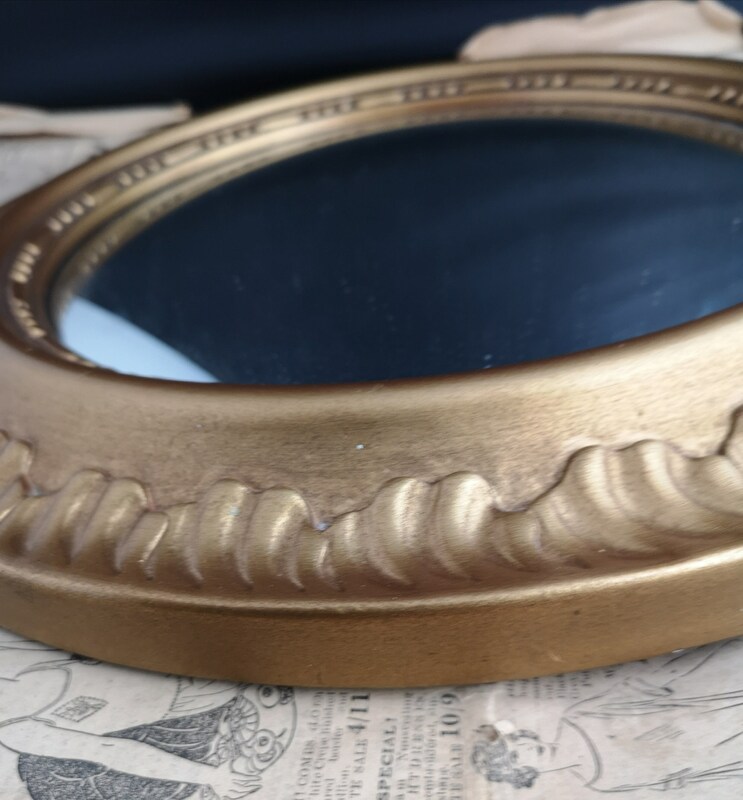 Lovely flame design frame and a chunky convex glass in the centre, typically Art Deco style. 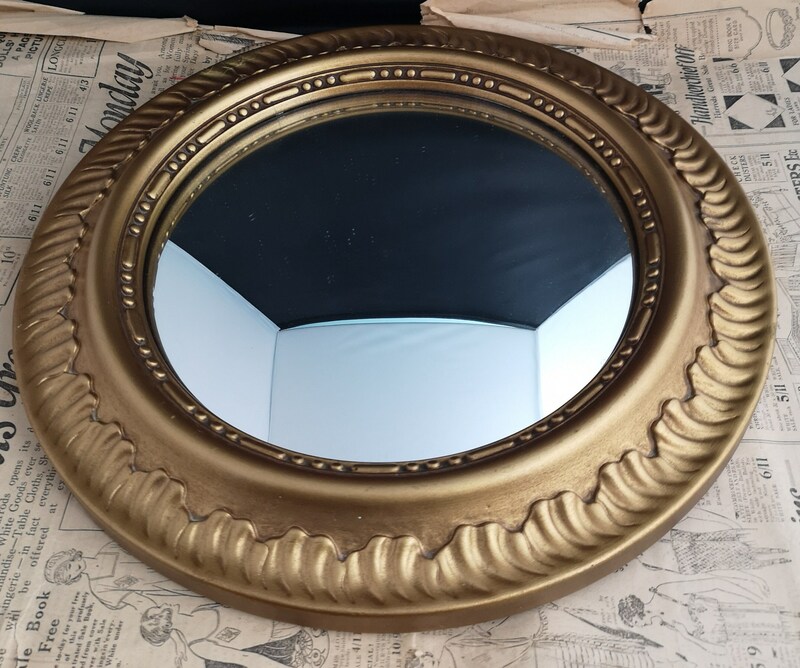 Very opulent and would suit a variety of decor styles. 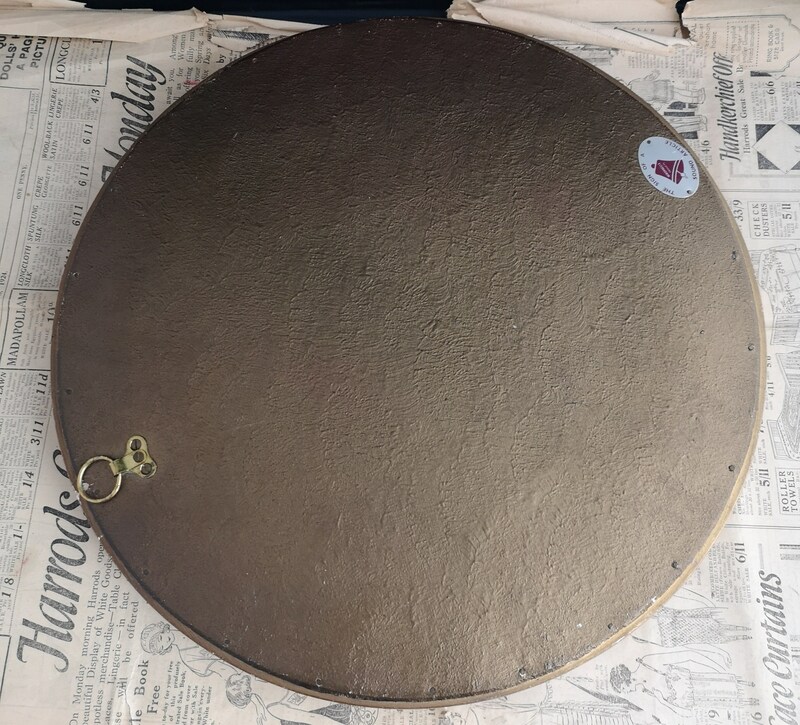 Well made, heavy and sturdy, it has a wood backing and a hanging loop, there is a metal tag to the back which reads Mirorbelle products, the sign of a sound article. 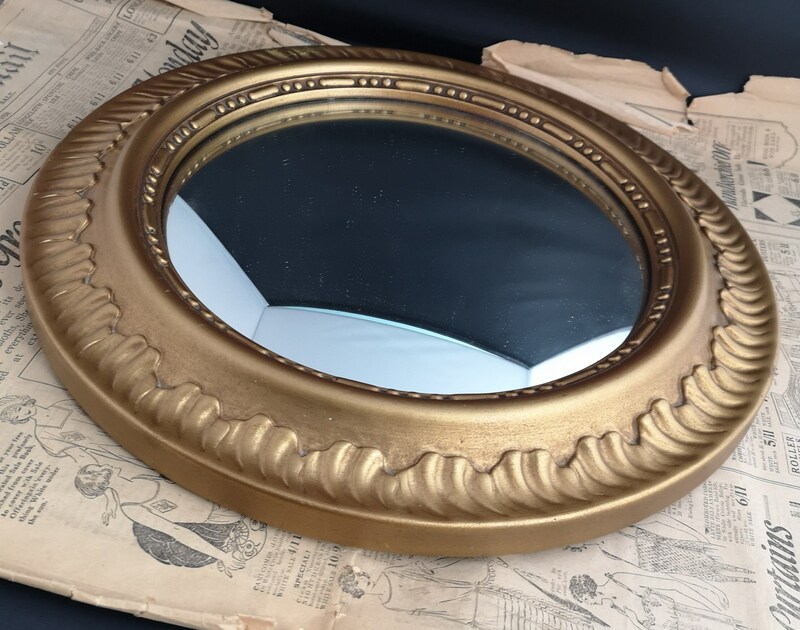 Overall condition is very good some small scratches and a little wear on the gilt paint but very minor.